Adam Lewis was a senior trader at the investment bank, Keefe, Bruyette and Woods. He was 36 and survived by his wife and four children. On Tuesday, Sept. 11, 2001, the world changed. Ten years later, millions of Americans will remember that cataclysmic day when fire rained down from a crystal clear sky, claiming nearly 3,000 lives in the most devastating foreign attacks on United States' soil. For five people with longstanding ties to Fairfield County, the 10th anniversary of 9/11 is a moment to reflect not only on a national tragedy, but on personal loss. These losses provoked sorrow and, at times, desperation. But they also created narratives of resilience, courage and generosity. Here, those five individuals reflect on a day that had a transformative global impact, and forged indelible and unforeseen personal changes. As he got ready for work around 7 a.m. at his Westport home, Mike Jaffe made a decision. Frustrated by a two-hour commute each way to the World Trade Center, he resolved to reclaim some time with his family that morning by having breakfast with his wife and 1-year-old daughter. That choice meant that Jaffe would not be at his desk before 9 a.m. on the 96th floor of the center's north tower, where he worked as a vice president of marketing at Marsh, an insurance and risk management firm. Riding a later train to Manhattan, he was unbothered by his tardiness. "On the train that morning, I felt great," he said. "I felt better than I had in a long time." As he walked across campus to his office at the student center at Merrimack College in North Andover, Mass., Fred Kuo also anticipated a productive start to his workday. The University of Connecticut graduate had started at the school a few weeks before as an assistant director of student activities. "I remember vividly how perfect that day was -- crystal clear, blue sky, beautiful weather. You couldn't have asked for a better day. "I walked upstairs to my office and said, `Good morning,' to a couple of my colleagues. And they said, `What's good about it?' And then they told me that a plane had crashed into the World Trade Center. "At that point, there was this panic light that went off in my head." Kuo then ran downstairs to watch television coverage. His father, also named Fred, worked on the 89th floor of the center's South Tower as a mechanical engineer at Washington Group International, a construction and engineering firm. He was also a survivor of the 1993 bombing of the World Trade Center. Kuo, who now works at Fairfield University, tried to call his father, but did not receive a response. In New Haven, Weston resident Susan Jordan sat in a waiting room at Yale-New Haven Hospital, while her husband underwent surgery for throat cancer. Her stepson, Rob Jordan, a bond trader at the investment bank, Cantor Fitzgerald, worked on the 102nd floor of the North Tower, the first to be struck. "They started the video coverage after the first plane hit," she says. "And I will never forget how I felt. I said out loud, `My stepson is in that building!' They sent a chaplain to sit with me. It was horrible." Around the same time, Kathryn Hebert was at home with her 1-year-old daughter in Bethel. Her brother, Fairfield resident Adam Lewis, worked on the 89th floor of the South Tower as a senior trader at the investment bank, Keefe, Bruyette and Woods. "It was right then, as I turned it on, that the second tower had been hit and was up in flames. I just kind of stood there. It was like in slow-mo. I knew Adam worked on the 89th floor of the second tower, and I just knew there was no way anybody survived that. It was a very eerie feeling." Jaffe arrived at the World Trade Center around 9:15 a.m. after jetliners had been flown into both towers of the trade center. "As I looked up, I saw this huge hole in the building, and as I started to count down from the top, I realized that the hole was in my floor," he says. 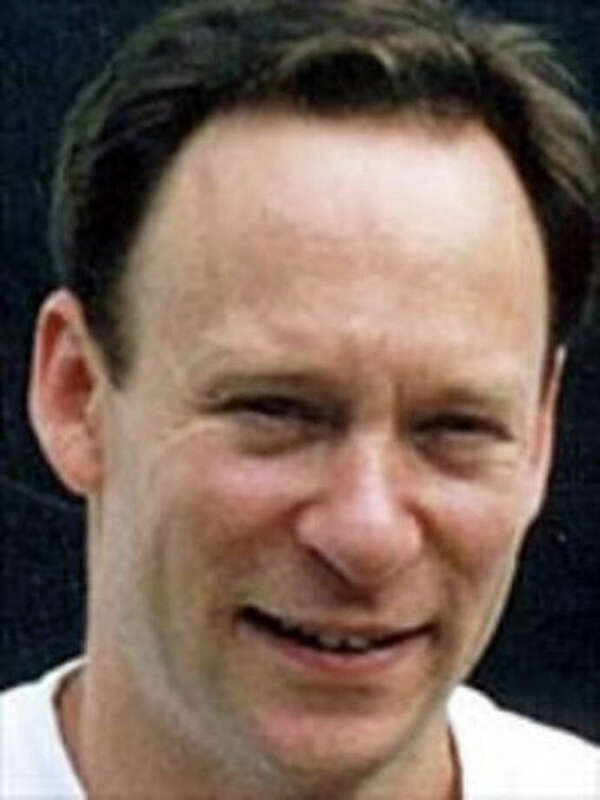 If Jaffe had taken his usual train, he would have likely been sitting at his desk when American Airlines Flight 11 crashed into the skyscraper. With the area secured by emergency crews, Jaffe departed on a subway train to Grand Central Terminal. By the time he stopped for respite at a friend's office in midtown Manhattan, the towers had fallen. At 9:59 a.m., Kuo watched the South Tower collapse on TV. "I remember just getting up, being basically inconsolable at that point," he says. "I'm crying, I'm panicked, I didn't know where to go. I just got up and started running somewhere. Somebody then grabbed me and brought me up to the chapel." Connie Taylor also watched the South Tower fall on television. The Weston resident had just heard about the attacks after arriving minutes before at her office in New Haven. Her son, Bradley Vadas, worked on the tower's 89th floor as a senior vice president at Keefe, Bruyette and Woods. Like Kuo's father, Vadas had survived the 1993 attack. "Somehow, that afternoon, I thought, `Well, he's certainly going to be able to get out of there. He did before,' " Taylor remembers. "He's a very smart, athletic guy who I'm sure is going to be OK. It wasn't until a little later on that it really dawned on me that he was really gone." After the loss of their loved ones, Jordan, Kuo and Hebert recall emotional turmoil for months after the terror attacks. "For our family, it was horrendous," Jordan says. "I had a hard time looking at it as a U.S. in trouble from terrorism issue for a long time, because it was so personal for me. That took years to evolve, because I couldn't get past my own sadness." Rob Jordan, 34 years old and a resident of East Williston, N.Y., was survived by his wife. Standing 6 feet, 4 inches tall, he was a standout oarsman on the rowing team at Orange Coast College in Costa Mesa, Calif. He graduated from the University of California-Berkeley, where he also rowed. Kuo remembers the perseverance he needed to make it through his first year at Merrimack College. "It was a different feeling back then," he says. "During that first year, I think I was numb. I remember very vividly being numb. I remember it being challenging the first Thanksgiving, the first Christmas -- the first everythings were always hard." Kuo's father was 53. He was survived by Kuo, Kuo's mother and Kuo's two brothers and sister. At first, Hebert's had a taciturn response to her brother's death. "There was frustration, there was outrage," she says. "It was difficult for me to talk about it for a long time. It's a global event, but for me it's very personal. It took a few years for me to actually be able to talk about it." Lewis was 36 and was survived by his wife and four children. He was also a collegiate athlete, playing football at Hamilton College in Clinton, N.Y.
Several years after the attacks, different emotions and ambitions for the survivors began to evolve. Jaffe still worked at Marsh, but his experience had permanently altered his outlook. Approximately 300 of his colleagues at Marsh had died on 9/11. "I was never going to settle for fine again," he says. "I was never going to let my career or life happen. I needed to be the one who owned it. Life was such a gift, I couldn't afford to lose days. I was lucky that I got a wake-up call when I did because it allowed me to really try to maximize the last ten years of my life." By 2004, Jaffe had become certified as a life coach and started Jaffe Life Design, a Westport-based personal and business coaching company. He turned his attention full-time to the start-up a year later after he was laid off from Marsh. After his father's death, Kuo also shifted course. Seeking to be closer to home -- his father had lived in Great Neck, N.Y. -- he took a position in 2002 in the admissions office at Fairfield University. In 2007, he married and two years later his first child was born. "Pretty much my entire post-9/11 life is Fairfield," he says. "It's Fairfield University, it's the town of Fairfield. In a lot of ways, it's bizarre, because I feel like my true adulthood has been without my dad." Hebert identifies a ceremony held in Norwalk in 2007 to commemorate the sixth anniversary of 9/11 as a pivotal moment since the death of her brother. "Norwalk Mayor Richard Moccia asked me to say something at the ceremony, and it took me a while to say yes," she says. "I wrote down a speech. It was very helpful to me to write everything down and to talk about my brother in this positive light, because he was this positive light. He was like a magnet. It was a turning point for me. And since then, I don't mind talking about it." About two years before 9/11, Bradley Vadas bought a home where he spent weekends in Westport. He lived during the week in Manhattan, but turned out every Sunday morning with friends for games at the Compo Beach softball field. Ten years later, he is still a fixture at the field. Shortly after he died, Vadas' family paid for the renovation of the field in his memory. A commemorative plaque now sits on a stone near home plate, which reads: "Hit one over the fence for me." The weekend before he died, Vadas, 37, had blasted a final home run at the field. "He was very intense," Taylor says. "Whatever he did, he did fully. When we renovated the field, all his teammates came down. They all really loved him." Vadas' family also established a scholarship in his memory at his alma mater, Boston College. In Pittsburgh, Kuo's father remains a campus presence at Carnegie Mellon University. Kuo and his family endowed a research fund for undergraduate engineering students in his father's name. About 2,500 miles away, "Rob Jordan" still glides over the same waters he once rowed as a student at Orange Coast College. A rowing scull purchased by his family and friends that bears his name is now used for races by the school's crew team. His family also established a rowing scholarship at the school. "Rob was one of those amazingly happy people. I still hear his laugh," Susan Jordan says. "We try to stay positive because that's the way he was." A decade later, each member of the quintet whose lives were changed unalterably a decade earlier will participate in 10th anniversary events commemorating those lost in the attacks. Connie Taylor is a retired social worker. She will attend a 9/11 remembrance ceremony at the Peace Abbey in Sherborn, Mass. Mike Jaffe is the president and founder of Jaffe Life Design. He maintains a house in Westport, but resides mostly in Great Barrington, Mass. He will speak there at a 9/11 memorial service on Sunday. Kathryn Hebert is the executive director of the Norwalk Parking Authority. She will speak at the CT United Ride on Sunday in Norwalk. "I'll be talking about my brother," she says. "I'm hopeful that some people will listen and maybe that will help people become more pro-active and positive in improving their own lives in the community." Fred Kuo is the associate director of university activities at Fairfield University. He will attend on Sunday the dedication ceremony for the new 9/11 memorial at Ground Zero in lower Manhattan. "Throughout the year, I don't really think about Sept. 11 a lot," Kuo says. "I think about my dad all the time, especially when there are trying or celebratory moments." Susan Jordan is a writer. She will also attend the 9/11 memorial dedication in Manhattan with her family. The trip will mark Jordan's first visit to the former site of the Twin Towers. "I think it will be a really hard day, reliving a lot of painful memories," she says. "But we all feel the need to do it. We're all ready."